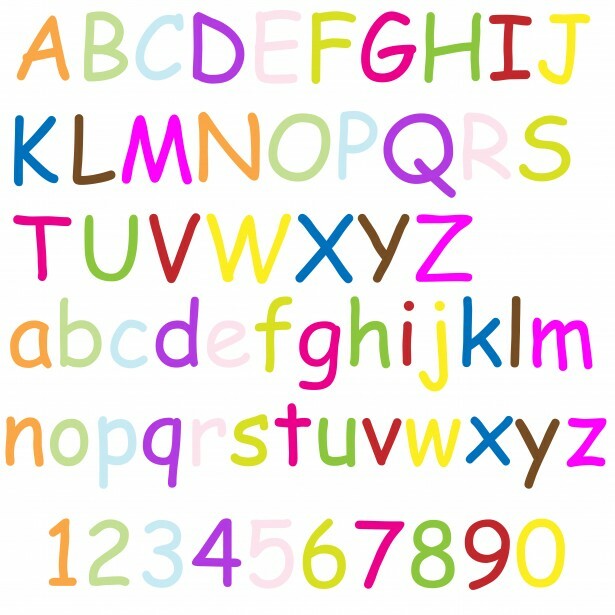 Alphabet letters are used by at least half of the world’s population. Though not all languages would use the same set of alphabets, alphabet letters all have one thing in common, and that is the fact that when combined together, they can form syllables and words which expresses an idea or a message. Find out more about them by reading on below. Alphabet Letters – What Are They? Letters are symbols that represents sounds which when combined together forms syllables which in turn makes up words. With the use of having an alphabetical system, a certain language can have a written form which makes transmission of information over vast distances in time and space possible. The word ‘letter’ came from the French term ‘lettre’, which was derived from the Latin ‘littera’, meaning writing tablet which can further trace back its origins from the Greeks and Etruscans. The word ‘letter’ became a part of the English language about 900 years ago. The word ‘letter’ is used to signify a sound, which is why it is associated with phonetics. Letters or letter forms are what comprises an alphabet. Usually, a letter is associated with more than one sound or phoneme, in which it is then called a digraph (if comprised of two letters) or a trigraph (if comprised of three letters). Alphabet Letters – What Are Characteristics of Alphabet Letters? Sometimes, the names can differ as well. The way the name differs is depending on the dialect, language and history of the letter. An example of this is the letter Z, which is called Zee in the US and is called Zed in other countries. In the case of Roman Numerals for instance, numbers are written in the form of letters. For example, in Spanish, the letter C can be used to convey a [k] sound or an [s] sound. This can be exemplified by the Spanish words Casita, wherein C is pronounced as [k] and Centimo, wherein C is pronounced as [s]. Otherwise known as alphabetical order, it pertains to how the letters are arranged in their alphabet. For example, in English alphabet, ñ and n are sorted as the same but in Spanish alphabet, they are sorted as separate letters. Alphabet Letters – Why are They Significant? What makes alphabet letters so important is that without them, communication as we know today will not be possible. Even computer programming uses alphabet letters. Can you imagine not having a written language? Without the ability to write up ideas and thoughts, civilization will not flourish as it has. We will not have the internet, and there is almost no way for the fast dissemination of information which made globalization possible. Isn’t it great that we have alphabet letters?